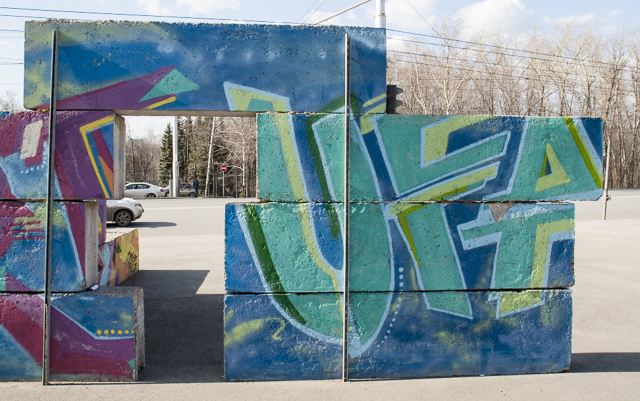 Ufa hasn't really delivered on the graffiti and street art. I've been really disappointed with what I've seen. 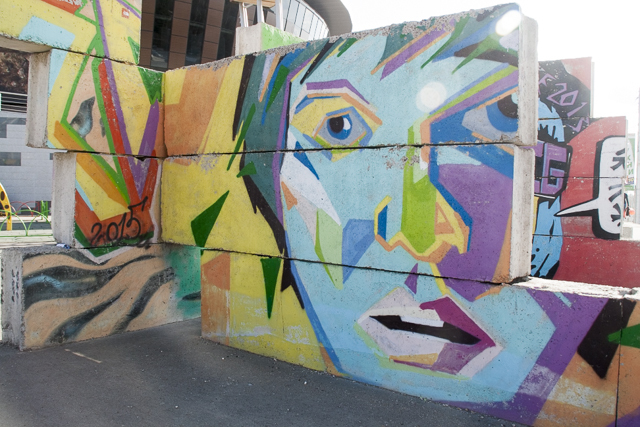 When I came across this art piece near ВДНХ on my birthday it was like the universe was telling me, "Happy Birthday." It's not much, but I was so attracted to the colors and the pop art motif. I was also surprised to find this in Ufa. I even thought to myself, "Did I just walk through a space/time continuum and get dropped in some other city that isn't in Russia?" Seriously, though! How beautiful is this? I'm such a huge fan of pop and modern art. Plus, it was such a nice change from the ugly graffiti around the city. 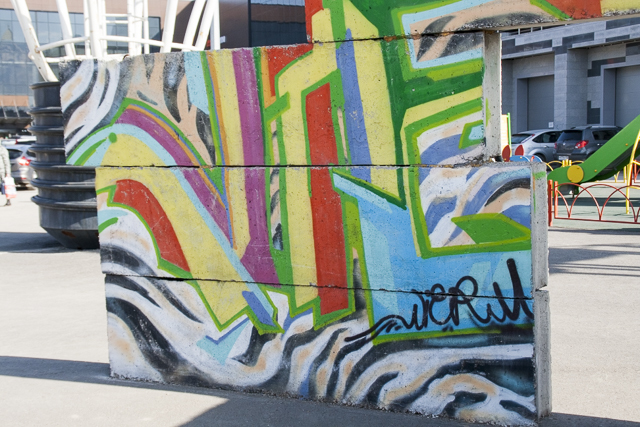 Yes, there is a difference between graffiti and some of it is just plain ugly. Mostly because writing your initials with a can of spray paint you stole from your parent's cabinet is not cool or artistic. How do you feel about graffiti and street art? Tacky or cool? I am indifferent to graffiti/street art. Here in the states I don't really see any I am impressed with, or that catches my eye beyond the occasional cool graffiti'd train car. 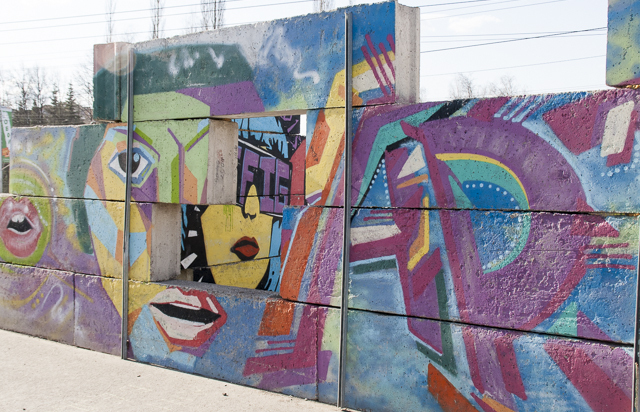 However, when I was in Petrozavodsk I did see some really neat art that was part of a city initiative to add interest to some fences and walls. It was a sort of competition and kind of neat! I was indifferent to it to. I think some of it can look really terrible, and I hate when people tag beautiful buildings. Now, I've come to appreciate the art more. I think there is a time and place where it can look good. 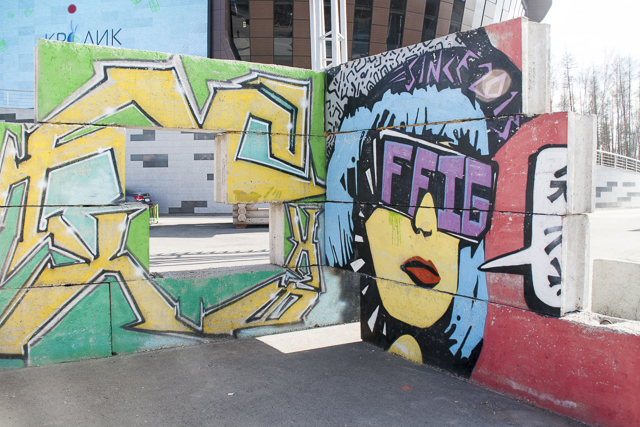 Here in Ufa the graffiti is really terrible, so it's a shock when I come across something really cool. That is pretty cool :) Thanks for sharing it! I bet it looks especially fun in the middle of a drab Russian winter. Absolutely adore this graffiti. Maybe its the same rules as Norwich (UK). They have a section of the city that can be covered in as much graffiti as they want, so long as it doesn't go beyond that. It keeps the city free of graffiti for those who don't like it, preserving Norwich's historic look, but also gives graffiti artists somewhere to practice and express themselves. This looks great. I love the shot where you can see the other face through the hole in the wall. There is a great graffiti spot near our house that I used to always check out the new stuff each week... all of your pics make me want to get down there again. I remember you telling me about that spot when I visited you once!